The service tech (Jim) did a great job on fixing our microwave problem, he new what to look for and had the parts with him. This job was under warranty work. Part was diagnosed and ordered right away. Part came in damaged and a replacement was delivered the next day. Dave realized that this was the second visit for the same problem so he took steps to change out parts and really fixing the problem. Love the app to identify where he repairman is on the schedule! Great service and very good about scheduling appointments! Highly recommend! REFRIGERATOR WHIRLPOOL WRX735SDHZ01 "Replaced the dispenser door. Customer inspected and approved of it.Both doors are level, the dispenser functions work with no leaks. Also did. Or have the continual water dripping the o,d door did after stopping the water. Prior tech said he was ordering a WP nameplate. Has not arrived. Please check and order if not already done. 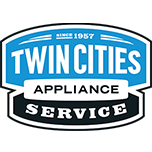 ; ordrng 1 W11223753 (BADGE)"
DRYER WHIRLPOOL WET4124HW0 "Found timer burned dryer wire harness. Tech Ordered the wrong harness. Ordered harness, timer and control ; ordrng 1 W10642932 (timer) and 1 W11090773 (WIRE HARNESS) and 1 WPW10476828 (CONTROL )"
COOKTOP WHIRLPOOL WCG55US6HS00 "Ms pic on file.Installed the cooktop regulator. Without the gas to the cooktop turned on in the furnace room,my gas leak detector read 1 bar of air contamination in the room. With the gas supply on there was no change at my connection to the cooktop so there is no leak at the regulator.HOWEVER, when testing with all of the burners on I could smell gas. The gas leak detector showed a significant leak at the ball valve shut off connection on/ off supply line.I left a message with the builder and turned the gas off to the cooktop at the furnace room shut off valve. Builder is to replace that valve and remedy the issue." DISHWASHER WHIRLPOOL WDT730PAHZ0 Ms pic.Found the hAndle under the sink.Replaced the dented original door panel and installed the handle.looks great! MICROWAVE WHIRLPOOL WMH31017HS2 "All parts were received intact and not visibly damaged.When replacing the high voltage components, tech saw an evident burn mark on the transformer by the top electrical connector for the brown wire. Replaced parts a tested. The microwave tests good and heated a cup of water from 70 degrees to 136 degrees in 1 minute." MICROWAVE AMANA AMV2307PFS0 "M and S pics.customer is hearing a noise they think sounds like a spark.removed the grill and diode protector and tested unit.There was a firecracker like sparking from the transformer and magnetron areas when the heating was turned on. Will need the transformer W10836753, high voltage capacitor W10850446, high voltage diode W11256462 and magnetron W10754299.Left unit unplugged.Return Wednesday 3/6/19. ; ordrng 1 W10754299 (MAGNETRON ) and 1 W10836753 (TRANSFORMER) and 1 W10850446 (CAPACITOR) and 1 W11256462 (DIODE)"
REFRIGERATOR WHIRLPOOL WRF757SDHV00 "Replaced the lightly scratched left french door and took pictures of its u blemished finish. Also of how it is level across the top.The new door did not come with a Whirlpool name badge. In case the customer wants it, please order one and,Rk the cal, comp,etc once it is ordered. Customer can stick this on easily. ; ordrng 1 W11223753 (NAME PLATE )"
REFRIGERATOR WHIRLPOOL WRS315SDHZ00 "The refrigerator is not To hooked up to water. Unp,urged them it and Replaced the User Interface. Functions test good. The customer recycled the box the $60.00 core charge part came in so it is not returnable. Customer paid the core charge on card approval number 1479585966." MICROWAVE AMANA AMV2307PFS0 Replaced the high voltage components and saw there were burn marks on the wire from the magnetron to the capacitor and on the diode connected to the capacitor terminal directly below it.Tests good and heated a cup of water from 80 degrees to 141 degrees in 1 minute.Tested good a 2nd time when reinstalled. REFRIGERATOR WHIRLPOOL KRFF507HPS00 "Ms pic.Leveled the french doors and adjusted the levelness of the freezer door front. Explained when the right fresh food door is open, it I’ll continue to swing. Open until it contacts the door stop. There are. O modifications that can be mad to change that when it swings open past the 1/2way open mark." WASHER WHIRLPOOL MVWC565FW1 "No error codes found. Ran an auto test. All tested ok. There was some pipe banging in the walls during the filling cycle. Advised customer to purchase some water hammer arrestors or turn down water pressure. Advised customer that the sounds from the unit are normal. Advised on cycle selection, detergent use, load size and type"
DRYER WHIRLPOOL WET4124HW0 "have 120 to Dryer. No voltage to washer from dryer connector Push to start dryer works until it’s let go, then stops. Called tech line. Said trace wire harness for break or replace wire harness. Ordered start switch and wire harness. Harness is ETA TBA. Office to Xpart and schedule install with customer. Send Jim only; ordrng 1 W11174407 (MAIN WIRE HARNESS) and 1 WP3398094 (START SWITCH )"
DRYER WHIRLPOOL WGD8000DW4 "Dryer .,,picked up parts for return to office ,canceled"
RANGE WHIRLPOOL WFG525S0HV1 Ms pic.Customer received a stainless steel door from the technician took with him. The. They received 1 black stainless steel door front that was installed. The 2nd black stainless steel door front listed was not received.Replaced the old door with a customer inspected andApproved new door. Looks Great! MICROWAVE WHIRLPOOL WMH31017HS2 "M and S pics.The microwave runs but does not heat. Customer said it made. Weird. Lise a Tuesday night before it stopped working.is vented out the roof and the vent is covered with snow.The board is sending power through it to the high voltage components.There is no amp draw from the magnetron so it is not turning on. Using a non contact voltage detector voltage was going to the transformer but inconsistently going to the capacitor and diode. Will need the high o,rage components to remedyReturn Wednesday 2/27/19. ; ordrng 1 W10754299 (MAGNETRON) and 1 W10832024 (MAG T STAT) and 1 W10836753 (TRANSFORMER) and 1 W10850446 (CAPACITOR (Hv)) and 1 W11256462 (HV DIODE)"